The cryptocurrency market recently experienced a bearish run driven by a range of factors including Mt Gox “Tokyo Whale” sell-offs, delayed institutional investor participation, and regulatory pressure. With the crypto market dropping 18% since May 20, investor sentiment has been wavering over the past few weeks. There are, however, many reasons to remain bullish on crypto outside of chart action. A recent survey conducted by Finder reveals that over 16.3 million Americans currently own some form of cryptocurrency, over 8% of the total US population. A similar report published by Lendingblock in March 2018 found that 55% of survey respondents believe that cryptocurrency purchases will be widely available in retail stores within the next 7 years. One of the primary barriers to mainstream consumer adoption is arguably the separation between cryptocurrencies and fiat currencies — crypto debit cards provide a solution to this issue, but have become less widely-used subsequent to the early 2018 culling of Visa-backed crypto cards. Cards that facilitate crypto-to-fiat payments, however, are making a comeback — independent of solutions such as Wirex and the upcoming Crypterium project, there are currently 17 different crypto debit cards allowing real-world crypto purchases. Scalability remains a pivotal issue in the development of cryptocurrencies — the current transaction capacity of Ethereum and Bitcoin is still far from payment platforms such as Visa or PayPal. Scaling solutions for both networks, however, are close to implementation, opening the door to widespread adoption and large-scale distributed apps. 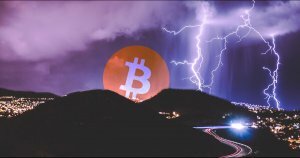 The Lightning Network solution, which is set to dramatically improve the transaction capacity of the Bitcoin network, is currently growing steadily. The total Lightning Network node count has increased from 29 in January 2018 to over 1,500 active nodes, boasting a higher node count than Bitcoin Cash. Ethereum’s scaling solution has been under development for several years now and is beginning to yield results. Ethereum founder Vitalik Buterin recently revealed a minimal sharding protocol initiative that allows developers to create and test infrastructure using compounds of the sharding solution. The recent submission of Ethereum improvement proposal (EIP) 1011, or Hybrid Casper FFG, demonstrates that a significant improvement to Ethereum’s transaction capacity is on the horizon. The underlying technology that drives cryptocurrencies is beginning to capture the attention of enterprise organizations. Major Fortune 500 companies are now investing heavily in blockchain technology — Outlier Ventures, a UK-based venture firm, maintains an active corporate research tracker that lists over 280 companies that are currently conducting intensive research into distributed ledger technology, including Boeing, IBM, Amazon, and Western Union. 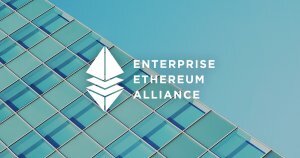 The Enterprise Ethereum Alliance has recently released a new Enterprise Ethereum Architecture stack that standardizes the specifications of enterprise Ethereum solutions, streamlining the process of creating private Ethereum blockchains. Similarly, Amazon AWS has launched a new “instant blockchain” service that allows enterprise organizations to quickly deploy blockchain networks on the AWS service. The implementation of blockchain solutions within large-scale enterprise organizations is set to not only dramatically enhance operational efficiency but also serves to legitimize the use of blockchain technology across multiple industries. The regulatory debate that surrounds cryptocurrencies is a frequent cause of volatility within the cryptocurrency market — regulatory authorities around are still scrambling to establish a functional framework for the regulation of cryptocurrencies despite ongoing research, G20 Summits, and closed-door meetings. The overall international regulatory stance on cryptocurrencies, however, appears to be developing into a nuanced, accommodating perspective that takes the highly variable nature of digital assets into account. The US SEC has recently hinted toward a clear separation between tokens sold during initial coin offerings and those that function strictly as utility tokens, and appears to be considering the exemption of cryptocurrencies such as Ethereum from strict regulatory action. More recently, the US DOJ has taken an active role in the investigation of price manipulation in cryptocurrency markets, while countries such as South Korea move to legalize and regulate initial coin offerings. With the St. Louis Federal Reserve likening Bitcoin to “regular money” and NASDAQ CEO Adena Friedman stating that the exchange would consider adding cryptocurrencies alongside traditional securities, it’s clear that positive regulatory action is just around the corner. The initial coin offering ecosystem has become a double-edged sword for cryptocurrencies in general, simultaneously increasing overall awareness of cryptocurrencies and the digital asset market while providing a platform for fraudsters in what is a largely unregulated environment. Recent research signifies that almost 20% of all ICOs are scams, demonstrating the need for reform within the ICO market. UK-based investment banking company GP Bullhound predicts a 2018 shift in the ICO model in a recent report entitled “Token frenzy, the fuel of the blockchain,” foreseeing the creation of the first “corporate ICO” that will launch as an alliance of multiple corporate entities. In order to comply with SEC ICO guidelines, many initial coin offerings are likely to seek issuance as securities, which will catalyze the entrance of venture capital and institutional investors at the pre-ICO stage via accelerators or incubators. It’s highly likely that the “new normal” of token distribution will focus strictly on the establishment of network effects, shifting to airdrops in order to achieve immediate impact and rapid growth. Alternatively, the creation of “tokenized asset offerings” that follow guidelines developed by SEC, FINRA and CFTC could create a hybridized token that functions as a security while maintaining derivative utility function, allowing the ICO industry to mature. With crypto adoption rates growing, enterprise organizations capitalizing on the blockchain, a possible solution to the scalability problem, regulation for a safer and more efficient ICO ecosystem— the crypto market is far from bearish.